Can You Stop Aging Now? Is joint pain just an old-age issue that we can't do anything about? Not any more! The "Miracle-Spice" Turmeric has been shown to be a powerful answer for addressing the primary underlying cause of joint discomfort--which is sadly-- inflammation. But we don’t have to accept these aches and pains anymore and let them interfere with our active lives. Chronic pain from inflammation is no fun!! And can even change a positive outlook on life to one of defeat. So many diseases and ailments begin with inflammation, but NOW we can fight it and conquer it before we have major problems. Have you heard of Turmeric? It is a warm, yellow spice most often associated with Indian food, curry and yellow mustard. Turmeric has been used in Indian and Chinese medicine for thousands of years! It has AMAZING anti-inflammatory action! Actually in ancient Egypt, Turmeric was considered as sacred and reserved only for the Pharaohs. Could taking Turmeric actually STOP our aging? Did you know Turmeric supports healthy brain cells and cognitive function? That is important for us at any age!! Studies show how older people benefit from taking Turmeric. It has the amazing ability to attack and wipe out free radicals that could damage healthy cells. Couldn't we all benefit from boosting our brain function and memory!! Dr Andrew Weil has reported that in India where people consume turmeric regularly, there are lower rates of Alzheimer’s Disease. It is believed this has happened because Alzheimer’s begins with an inflammatory process. Do you have aches and pains? These are most commonly caused by inflammation. Turmeric has outstanding anti-inflammatory properties! Would you rather take a prescription drug or even an over the counter medicine which could have negative side effects... or Turmeric.... which has been called a Miracle Supplement—considered by many to be the most effective nutritional supplement available to fight inflammation---and it is all natural! Did you know that the incidence of several types of cancers is up to 10 times lower in India (where turmeric is widely used in food preparation and also used by practitioners) than in the U.S.? Did you know Turmeric is a great Antioxidant as well as Anti-inflammatory and can relieve pain and skin dryness, boost brain function and memory, boost the immune system….and so much more? 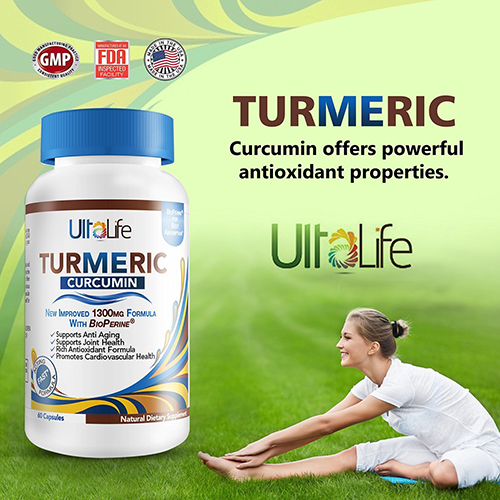 Turmeric is rightly called a Miracle Spice—the most effective nutritional supplement on earth! One more note: It is important to take Turmeric with added black pepper extract. 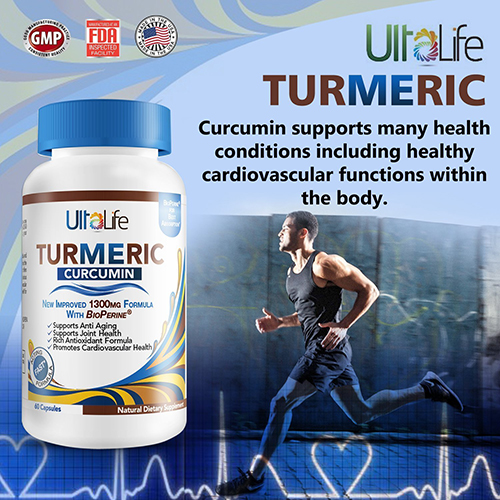 Ultalife‘s Turmeric Curcumin has been enhanced with BioPerine (a black pepper extract) that helps with digestion and better absorption. Many people believe Turmeric eliminates pain better than over the counter or even prescription medicines. “I always had the smallest kit and the fewest products of any of my colleagues,” she remembers. She let her hair go gray in her late 40s, and just like that, she was spotted on a New York sidewalk by a scout for the fashion photographer Steven Miesel and has been a model ever since, featured in ads for Target, L.L. 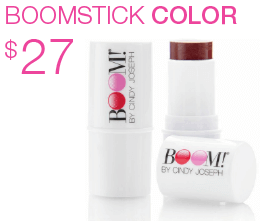 Bean, Dolce & Gabbana, DKNY, Olay, Nivea and others. About a year ago, she went into the cosmetics business herself. “I’d done makeup for two decades and when I created this line, I created what I would want in my own kit,” she says. “I wanted to do a line that was not about hiding, but was about revealing.” The overall effect, she says, is a dewy, glowing face. We consider our customers as friends and our pledge to you is that we will only offer you only the finest, natural supplements. 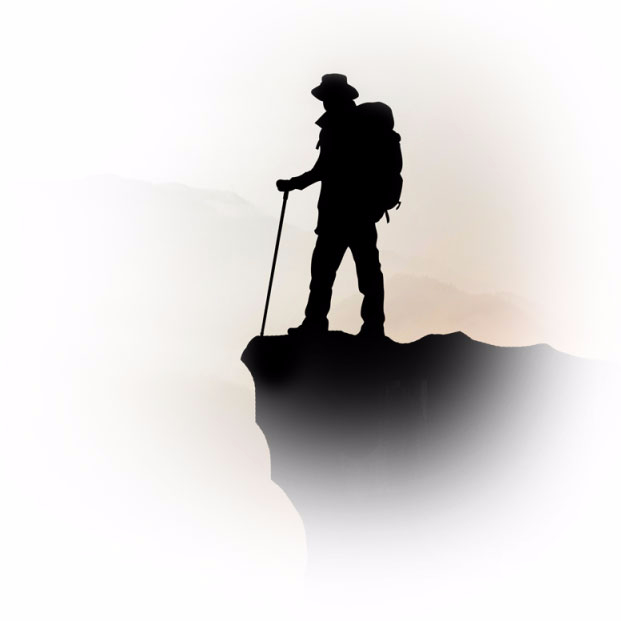 We want you to live your ULTIMATE LIFE! Shop with us today and you will receive a 25% discount just by applying this code at checkout. 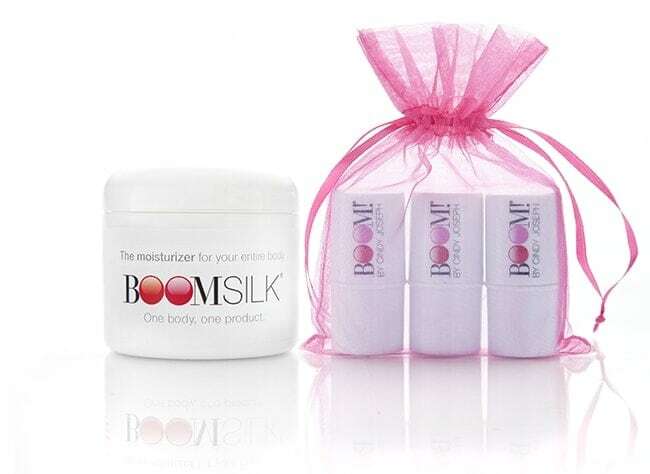 Your purchase is ALWAYS backed by our “Bottom Of The Bottle, IT WORKS or Your Money Back” 100% Satisfaction Guarantee. YOU WILL BE AMAZED BY THE TRANSFORMATION! Radiate health, well being and happiness in one quick application. ALL THREE BOOMSTICKS IN ONE! 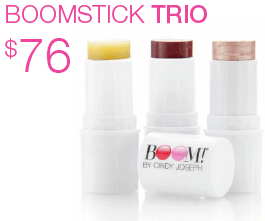 These three super convenient multitasking cosmetic sticks will replace everything in your make up bag. 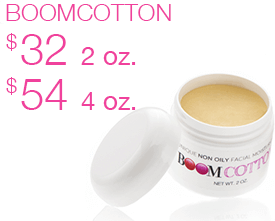 A UNIQUE "SHINE CONTROL" MOISTURIZER! Your skin will drink it up yet leave no trace of oil or shine, leaving your skin with only a healthy glow. I've been taking this for about a week, and I don't know if it's had time to work. However, my knees are less inflamed, and the pain is much lower. I haven't taken any Advil for a week. My joints feel like I am 30 years younger Love it, and I plan to buy more. I have heard about Tumeric and how great it is. I fell and twisted my knee and dislocated my hip. I have been having trouble sleeping at night due to knee/hip pain. 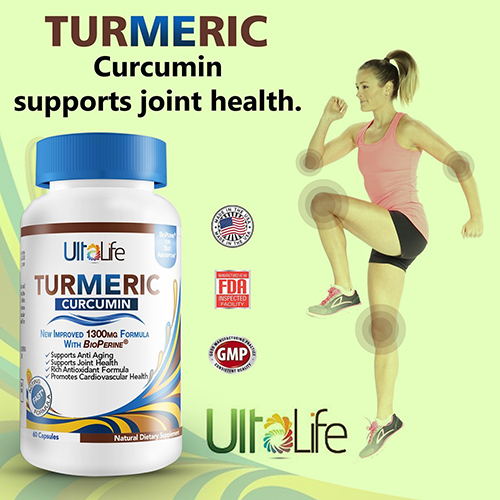 I have noticed since I have been taking the Turmeric I have not been waking up as much from knee/hip pain. Almost 2 years ago I was diagnosed with a brain tumor that needed to be immediately removed. It caused a lot of swelling and bruising of my brain along with seizure-like issues. I read about how Turmeric with Curcumin had anti-inflammatory properties as well as showing itself to help regrow brain connections. In order to absorb the Curcumin it needs bioperine (another name for piperine), which is the substance that enhances absorption of curcumin by 2000%. 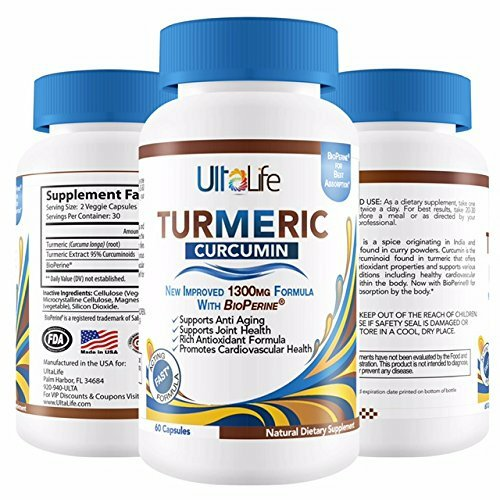 Many early reviews of Ultalife Turmeric reported it was missing bioperine, but it looks like the manufacturer listened to critics and added it. I have taken Turmeric supplements for months and never noticed if it was working for me. But in the first 24 hours of Ultalife my chronic back inflammation and pain was gone! 3 days later I noticed less depression and anxiety that is a result of brain surgery. And within a week the seizure-like issues are seriously reduced! I really didn't expect to notice the difference so quickly and definitely not so dramatically. But I am sold and will never buy another brand of Turmeric!